Lenzing’s Managing Board decided to temporarily mothball the lyocell expansion project in Mobile, AL, US. The rising likelihood of increasing trade tariffs, paired with the potential surge in construction costs due to the buoyant US labour market, have increased the risk profile of this project, according to the manufacturer. Consequently, Lenzing will put all its effort to readjust the execution of its growth plan to meet strong market demand of its lyocell fibres. This includes an increased focus on the lyocell expansion project in Prachinburi, Thailand. Lenzing will reassess this decision on a regular basis but no substantial additional lyocell volumes, over and above the successful 25.000 tons expansion in Heiligenkreuz, Austria, will be added to the market in 2019 and 2020 by Lenzing, the company explains. 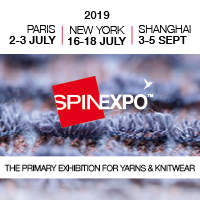 Lenzing continues to be fully committed to implement its sCore TEN strategy and remains on track for the specialty expansions such as Tencel Luxe filaments and Lenzing Ecovero viscose fibres, however this decision will slow down the implementation of the lyocell specialty staple fibre growth.